We can’t talk of lao gan ma without being grateful to the “spiciest/feistiest woman of China-Tao Huabi”. She is the founder of one of the most popular Chinese sauce lao gan ma. It was established in 1997 at Guizhou province. So, what is the fuss about this sauce, why is it that once you taste it you get hooked? If you frequent Asian supermarkets or grocery stores you may have noted the rate at which this sauce is bought. Moreover, you find it in almost every city in the world today. I would attribute this to its balance of flavors and textures. It is the answer to your palate needs. Picking a can of lao gan ma you will notice a woman image. Her name is Tao Huabi also known as the godmother. She is a real person who was from a poor background and beat all the odds to become one of the richest women in Chinese history. She got married to a geologist but was soon widowed and left to raise her two sons alone. Tao started making rice tofu and selling them at school. Later she set up a small shop in her province. Here she made simple noodles which she mixed with her spicy hot sauce and soybeans. Her recipe quickly made her the district’s goddess. She would feed the poor students at a discount or for free sometime. This saw the massive rise of her business. Being a born entrepreneur, she discovered that her customers loved her sauce. They came to purchase it even without the noodles. To test the water, when she finished the sauce in the store she tried to sell the noodles but no one was interested in the noodles without the sauce. The neighbouring noodles shops had also adopted the use of her special sauce. Lucky for her, there was a new highway construction within the shop area. Tao used this chance to market her product outside her local vicinity. She gave her sauce out for free and people from far off city began to visit her shop for the sauce. In 1994 she stopped selling the noodles and concentrated on making the sauce and other condiments. 2 years later she opened a factory, employing 40 workers then it was listed in 1997. The business saw a massive growth in the international scene. 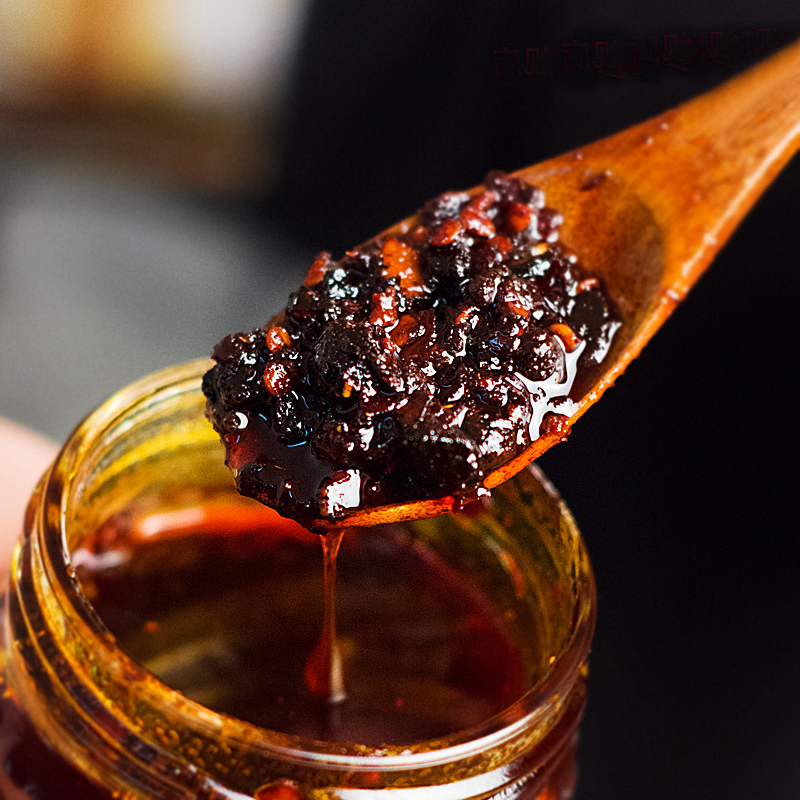 The sauce is known as the miracle of Guizhou and it truly is a miracle. This chilli sauce adds lots of flavour to your dish. It’s made by the founder company called the lao gan ma company. They make the sophisticated and addictive hot sauce that you will ever taste elsewhere. While you may wonder why the lady is grumpy, she is a successful entrepreneur and happy person. Aside from that, the combination of chilis, garlic, onions, fermented soybeans and peanuts ensures it attains a full body of flavors. Each of the ingredients has a unique role in making the source. Note that the sauce uses peanut so if you are allergic to peanut this isn’t your sauce. This is the best of the sauces check its review to confirm that. Be warned that once you taste it, you won’t ever enjoy a meal without the delicious sauce. From eggs to pasta, to chicken to Mexican food, to Chinese food you can use it on literary any meal. 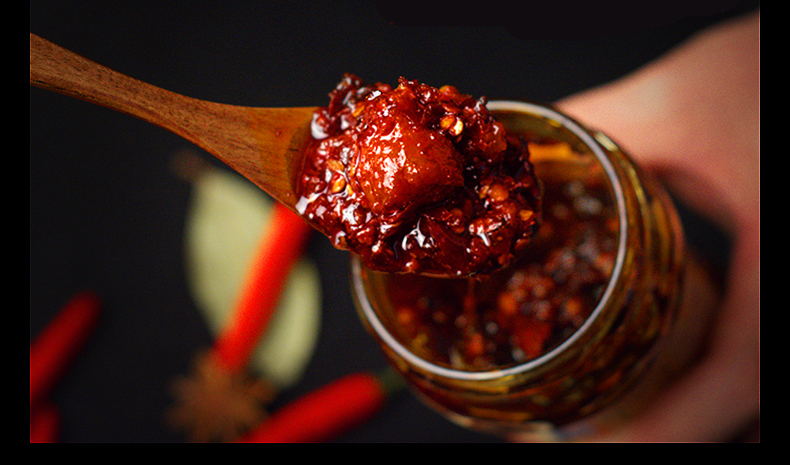 By now you must have known that lao gan ma chilli sauce is a beloved sauce. 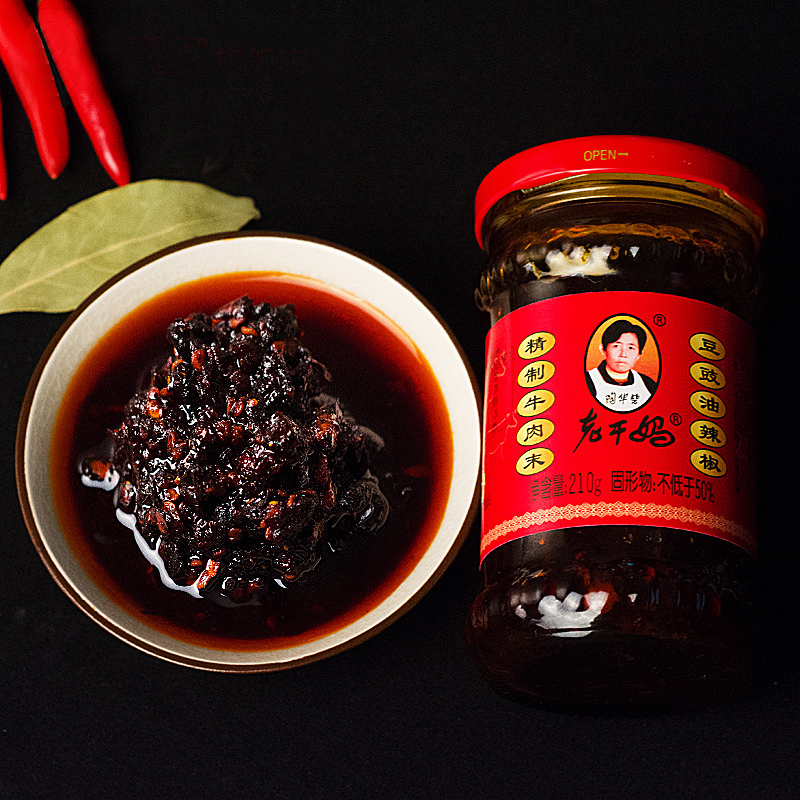 This version is a mixture of roasted chilli peppers with preserved black soybeans in soybean oil. The result of this two is rich umami flavors. There are those who only use the original lao gan ma but others don’t mind the one that has black soybeans. This is another spicy sauce that will compliment your dishes flavors in many ways. From giving it rich and complex flavors, to the perfect texture and quality this is your on the go-to sauce. You may use it for dumplings, stir-fries among others. 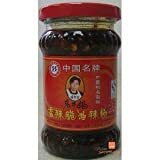 I often use it to make my lao gan ma black bean chicken. According to most reviews, this sauce is a saviour. Apart from its flexibility, the flavors make all the difference. It’s not by chance that it has most of the clients hooked. Some even use it on boiled eggs. 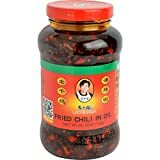 If you want to trick your family into believing that you are the best when it comes to cooking Chinese cuisine, you must own this sauce. It’s a little spicy and full of flavor, great texture, crispy with great fragrance. Aside from all the flavors, it will make you addicted for no other reason than its mild spicy nature. 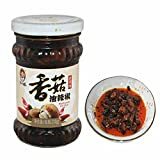 This sauce is best used when making mapo tofu and stir-fries among other dishes. For those who find it so crunchy, when cooking with it, allow the sauce to simmer a little to soften the nuts. Note that, it’s perfect for you if you love moderate heat on your food. This sauce is packed with enough heat and flavors that will suit most of your favourite dishes. It’s another version of the famous lao gan ma company. Forget about a bland dish with this condiment. You can use it to cook anything. The sauce is nicely addictive and unfortunately, you will find food without it bland. The only difference with the other varieties is that it contains more oil and the chillies are fried first when prepping it. Here is another version of the lao gan ma spicy food. From the image, you can see how rich in color and texture it is. A combination of mustard, chili and spice create this eye-catching sauce. If you would like to try something new then this mustard pickle is yours. Its brand makes it famous and trusted. When buying the item, you receive 10 sachets. However, it has a shelf life of 18 months. You may add it to most of your seasonings or stir-fries. Like the previous lao gan ma sauce, this is full of flavors and an additional ingredient is a mushroom. The sauce is rich in flavors, crispy and aromatic. You may use it in almost every dish and as a condiment to add flavours to your dish. The stuff makes cooking easy. You may use it when making your noodles, stir-fries and soups. Although there are other versions of the lao gan ma, these are the few common ones that I use in almost all my dishes. When talking about this sauce, I like to call it the happy lady sauce although some people call her the angry lady sauce. It’s made of a perfect blend of umami flavors, salt and oil. Most who haven’t tasted it would ask what makes it special and I would say that you need to taste it. You need a food processor or spice grinder, to begin with. This you will use to pulse the chilis. Soybean oil is essential as well although some people may prefer peanut oil. Carry some soy nuts that will add soy flavour, crunchy texture and full body. 6 dried guajillo chillies. Pulse them in a food processor. On a heavy bottom saucepan, heat the peanut oil to about 250˚F. Add your onion and garlic to the mixture then cook for some time. Stir it until the bubbles settle down completely and the onion and garlic are lightly roasted. They should assume the light brown color. Add your soy nuts and cook for about a minute then remove from the heat source. Remove from the heat and finish by adding the ground chilli, Sichuan peppercorn and sugar. Let it settle and cool to room temperature then transfer to a desirable can with a tight-fitting lid. This side condiment or dish should take you not more than 15 minutes to prepare and cook. Note that, the sauce is a pack of heat and deep flavors that make you hooked. Lao gan ma was initially used to make only noodles, today, however, it’s used in almost every dish you may think of. Most of our meals here are stir-fried and lao gan ma works fine in most of the stir-fried dishes. You may use it as a condiment as well. The unique thing is that this aromatic, tingly, crispy and crunchy sauce combines the mala sauce and crunchy texture. Its crispness makes it stand out. But, what about its nutritious value? I know the world today is full of people who are concerned with the health value of every meal. My case is different, I never bother about this as much. If I love the taste and flavors, I eat the meal regardless. This is because I believe our bodies have the mechanisms to isolate the kind of nutrients it wants and release the rest as waste. According to calorie quality, you consume 422 calories per serving of this sauce. It also contains low added sugar and a high salt content like most other Chinese sauces. However, it has low SAT fat and reasonably high protein content. Check the website for more info. Nevertheless, in my opinion, it’s a tasty-addictive sauce that gives you the relevant nutrients and flavours your dish. You have probably seen this sauce in your supermarkets. 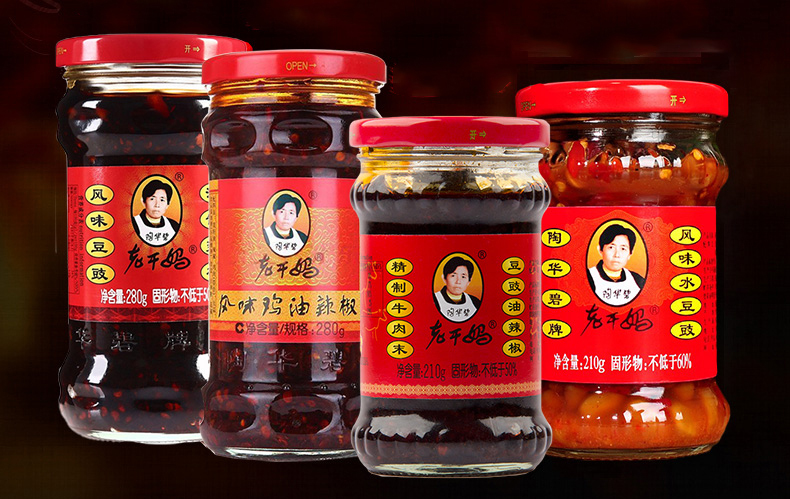 Lao gan ma is a global sauce that is readily available in Asian markets and groceries. Within our country, however, you may get the sauce in almost all the grocery shops and supermarkets. Stop by the factory as well if you live in Guizhou province. The online stores that sell this include Amazon, eBay, Walmart among other upcoming food stores. We attribute its fame to the fact that they have retained the flavors, aroma and texture long after the founder retired. Since this sauce was founded by one who used to make noodles with it, you should try these recipes. Begin by making your sauce. In your bowl, mix the soy sauces, ginger, garlic, scallion, Chinese black vinegar, lao gan ma, pickled radish and sesame oil. In a wok, heat the oil and fry your peanuts until cooked on all sides. Take the peanuts off the wok and add the extra oil that is in the wok to the sauce in the bowl. Take your noodles and boil as per the package requirements. Keep checking it so that it doesn’t overcook. When its almost cooking add the vegetables to blanch for a minute then remove the excess water. Lastly, pour the sauce over the noodles and mix well. Add the peanuts and cilantro. Stir and serve. There is a reason why the sauce is popular, the company doesn’t compromise on quality. It maintains the rich flavors, texture and crunchiness. This makes your otherwise bland meal tasty. 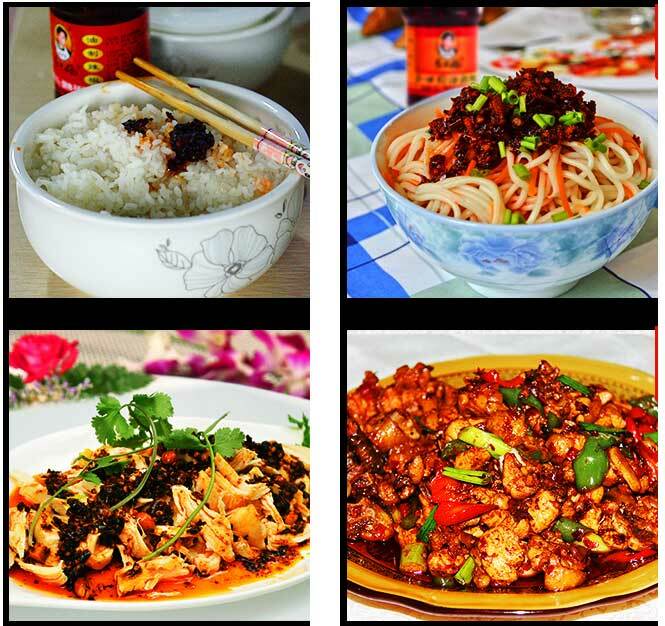 Even those who don’t know how to make the Chinese delicacies can use it to make a flavourful Chinese meal. Aside from that, you may use it in any kind of dish. Beware though, you will be hooked. The sauce carries vital nutrients for your body. From proteins to carbs to vitamins the list is endless. For those who love hot sauces make this your companion. The province of Guizhou has greatly benefited from the factory founded by the godmother. The factory employs about 4100 people giving them a source of income and improved livelihood. Thanks to the godmother’s bravery, lao gan ma is known as the miracle of Guizhou. To the young people who think that without education you can’t go anywhere, the godmother is your challenge. Check her history, she is from a poor background married and widowed at a young age. At the end of the day, she had a choice to lament her loses or go for her dreams. Today, she is influential and successful. The list of recipes that use lao gan ma is endless. We must say that this is a saviour sauce for all the foodies in the world today. The authentic and unpretentious sauce that features a mixture of red, yellow and black color with a grumpy texture is all you need to make the difference in your cooking. Lao Gan Ma Chili Crisp Sauce is always my on the go-to sauce. Because it is the original one and you can use it with almost any dish you wish.